I enjoy using up pieces of leather left from other projects. I save even the tiniest pieces of bright leather to use as tabs and stops. Today I’ve been making glasses cases. These are some of my favourite leathers that I have kept for just this purpose. They are 7.5″ x 3.5 inches, perfect to keep your sunglasses tucked safely in your bag. Your phone will fit as well! 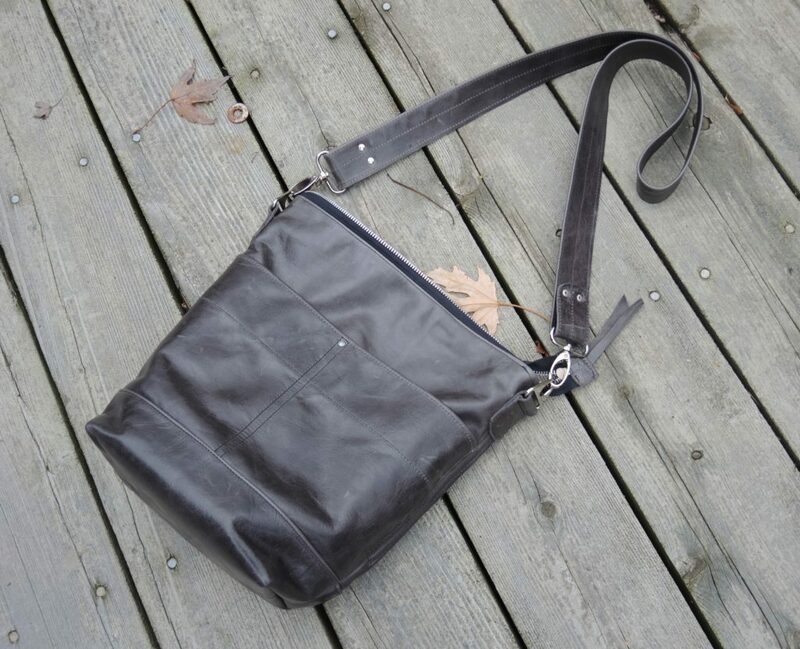 I like this new design–understated zipper-top shoulder bags that will go everywhere and carry all you need. They are made of rich caramel leather with a double bottom layer in black. 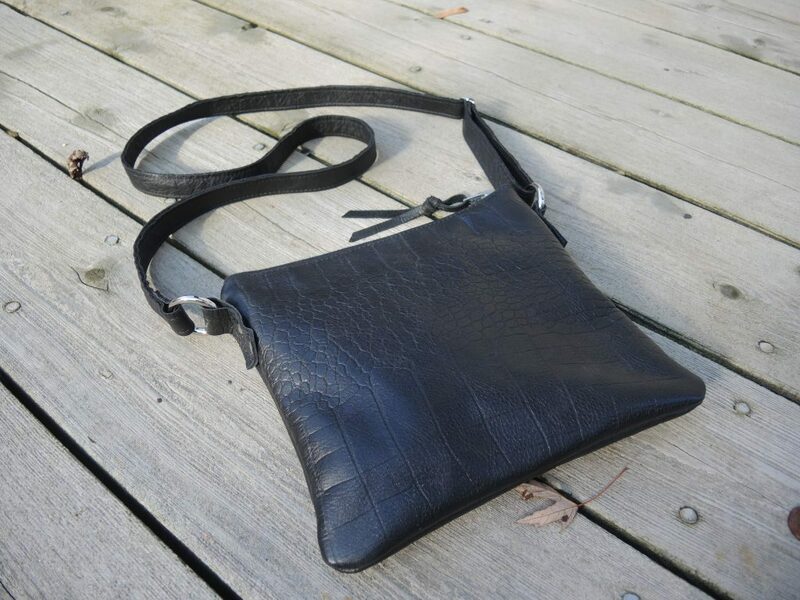 They have an adjustable strap in black leather and three interior pockets. Here you can see two sizes, small and medium and a peak at the great lining which I found in Dublin. These bags will be available at the show this weekend. 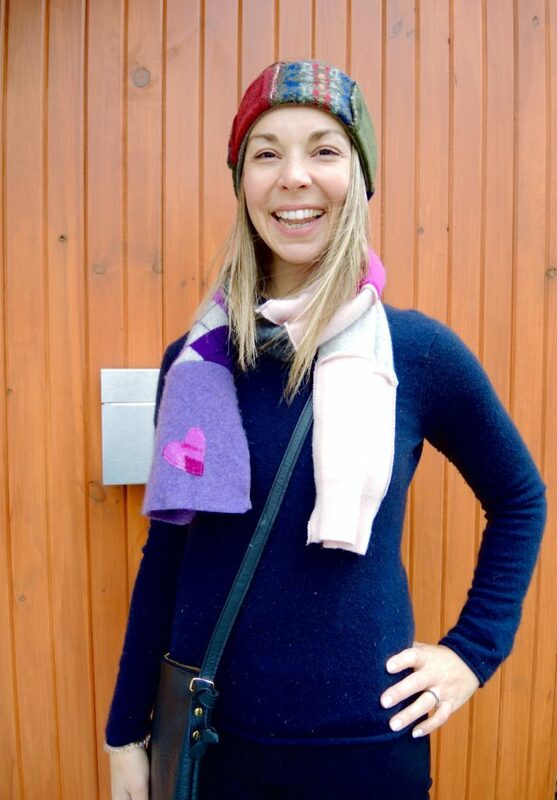 My favourite model is featured here wearing some of the Birdbrain goods which will be available at the upcoming show: wool and cashmere headbands and scarves as well as a couple of the bags and totes. This one joins the other Ottawa bags lined up for the upcoming show. 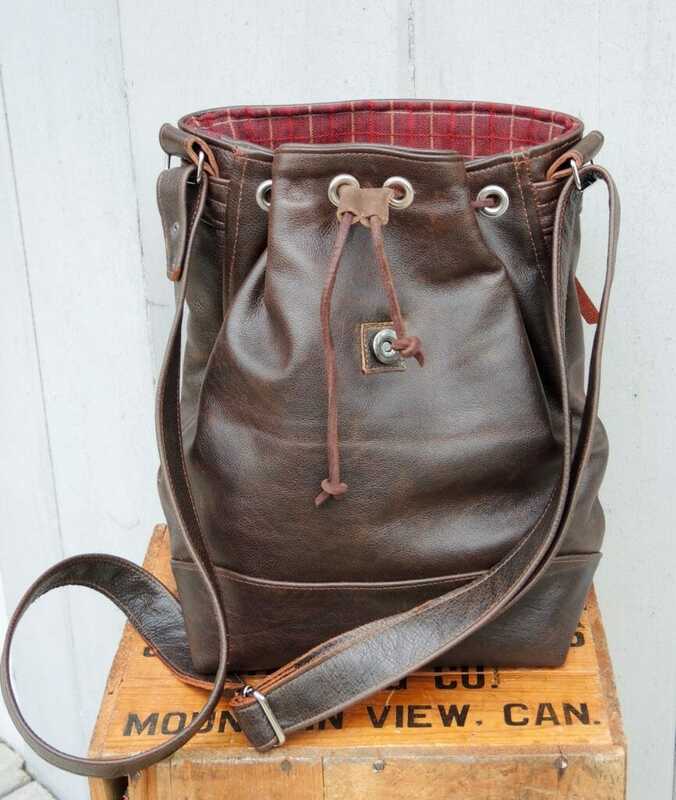 It has all the features of the Ottawa including generous back zippered pocket, adjustable cross-body strap, double leather bottom and drawstring and magnetic closure. 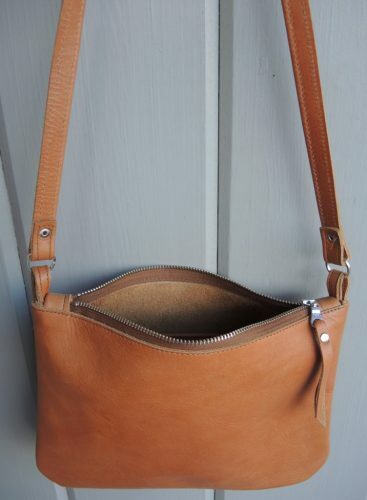 The flap is lined in butterscotch leather and the bag is lined in a durable rust check which you can see in the third photo. Inside there are four pockets to keep all you essentials organized. 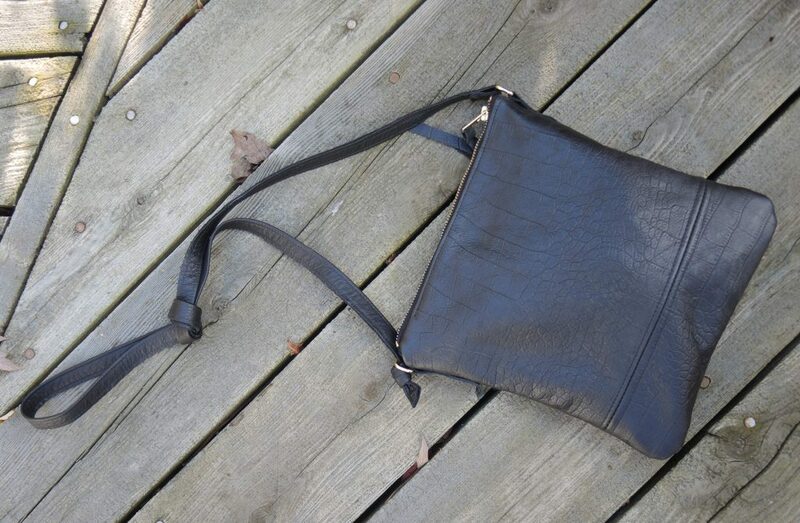 A handsome and functional bag made to last for years. I love this Marimekko pattern–it is such a bright and interesting design. 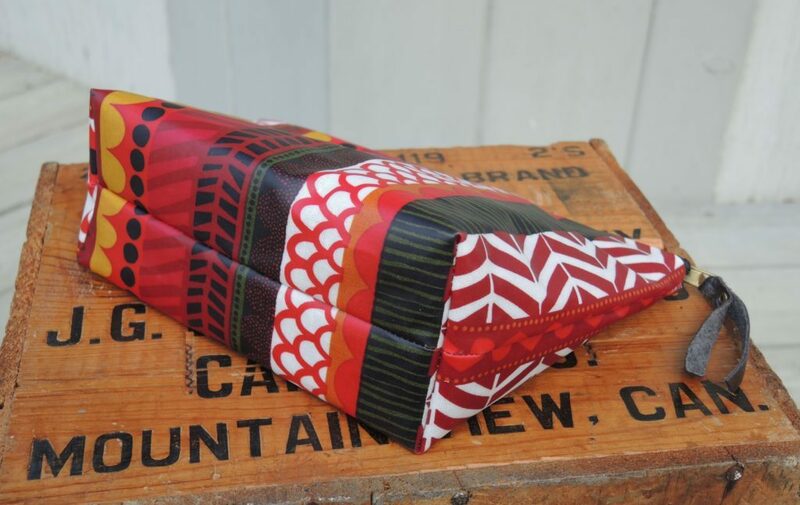 I’ve combined it in different ways to make pouches which are great for make-up, baby essentials, art supplies, or anything where you need to be able to wipe clean inside and out. The outside is coated cotton and the lining is dark waxed canvas–so a snap to keep clean. 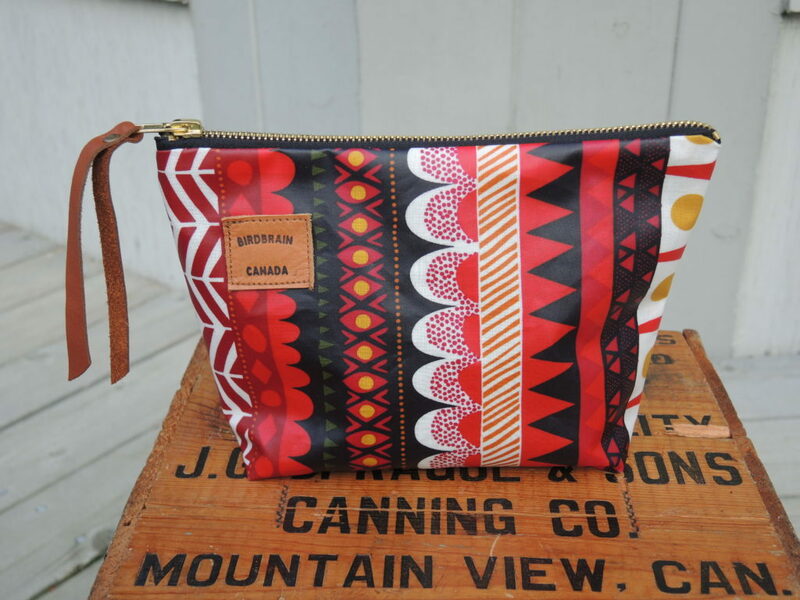 They are a generous size: 9″ wide, 6.5″ tall with a 2″ base, and have a heavy-duty metal zipper closure. They will be available at my show on December 3. I’ve been making some new things for the upcoming show, but the weather has not been at all helpful for photographing. Yesterday there was a break in the rain and snow which let me take some shots of new work. 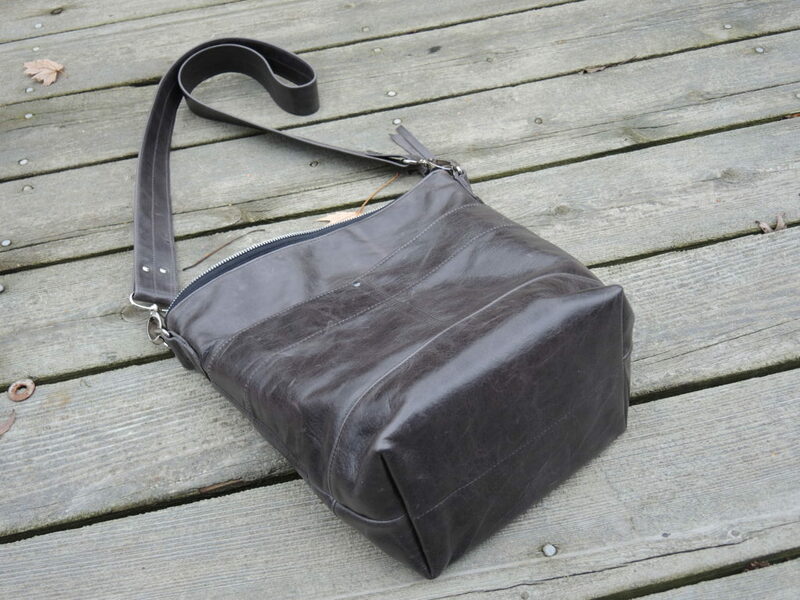 This bag is the last of this beautiful slate leather. 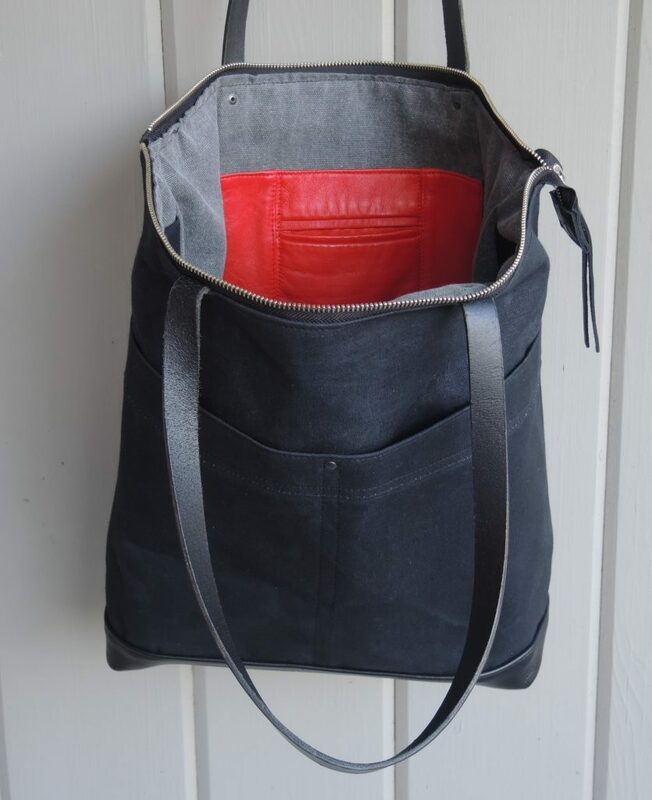 Two large pockets on the outside and four more inside, including a zippered one. 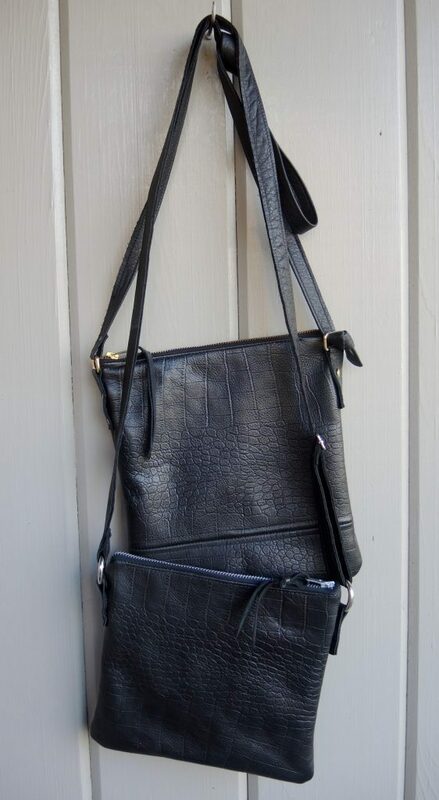 It has a great wide cross-body strap, but you can also clip on another. 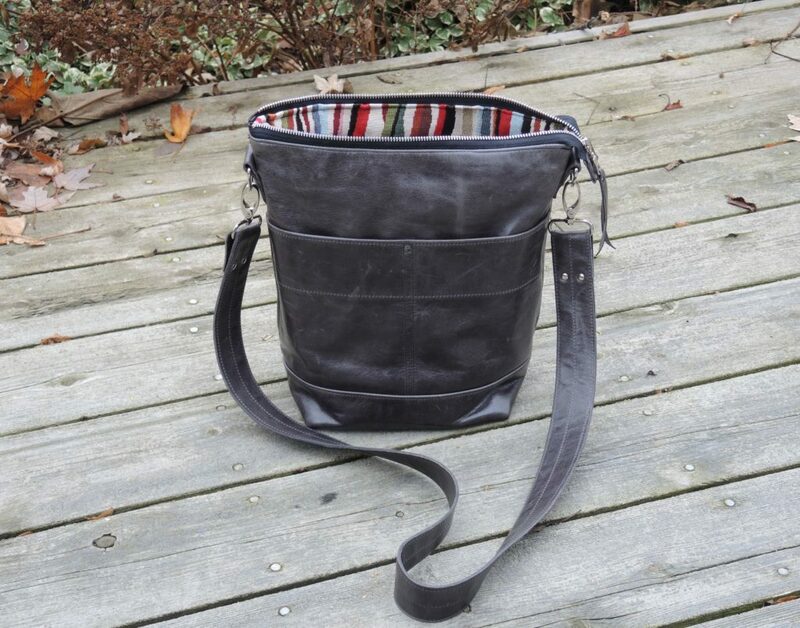 It closes with a heavy duty metal zipper, has metal hardware, a wide double leather base and is lined in great wiggly stripes which I bought in Ireland. 13″ wide, 11/5″ tall and 5.5″ base. 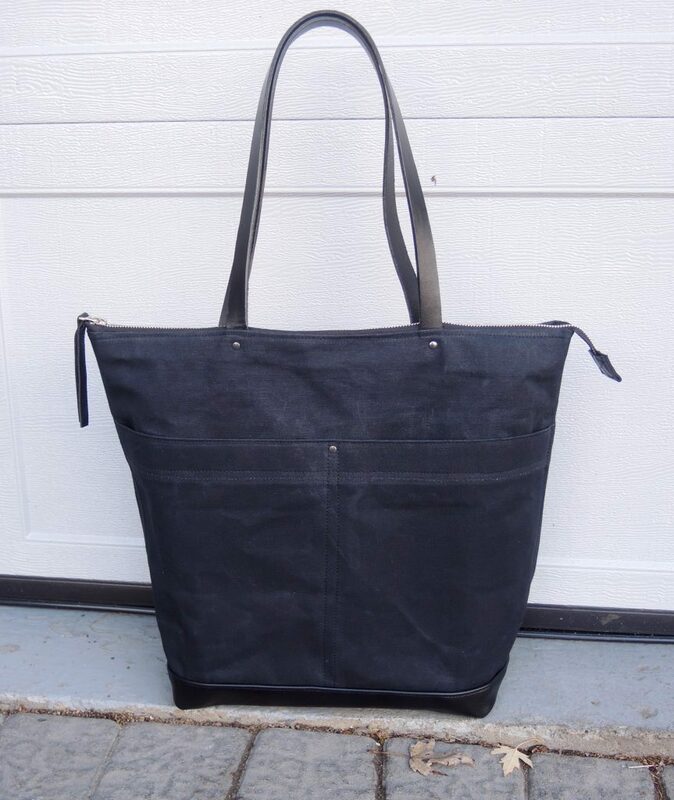 Here is another durable tote for travel and everyday use. 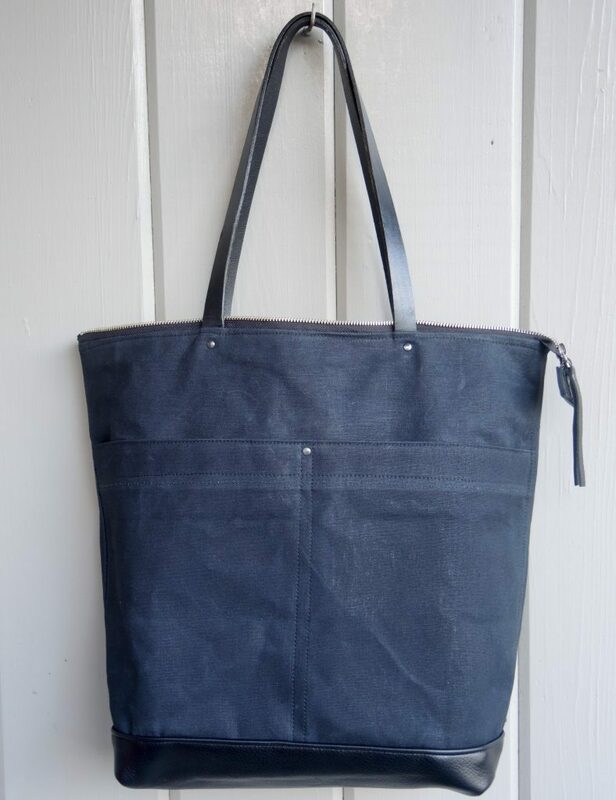 This is the same waxed canvas as the tobacco totes but this time in black. 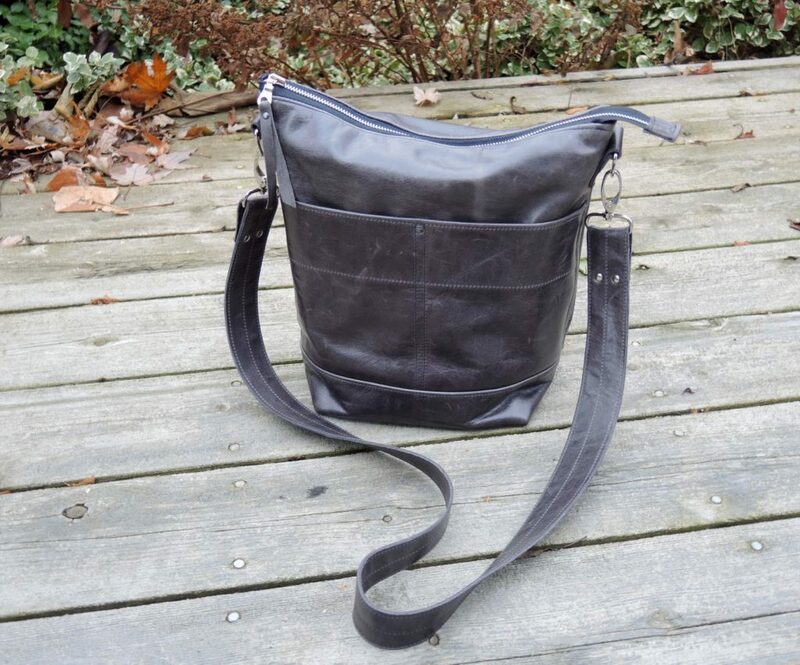 Like the others, it has a leather bottom for extra strength and stability, a metal zipper closure with leather tab and hand finished leather straps with a 10 .5″ drop. There are two large waxed canvas pockets on the outside for easy access and two more on the inside for more security. As well, as you can see from the last photo, there is a flash of a red pocket inside. This is a section of a beautiful red blazer I once bought in Florence. It has a luxurious feel and the bound pocket–can’t beat that Italian craftsmanship!– is perfect for your phone. 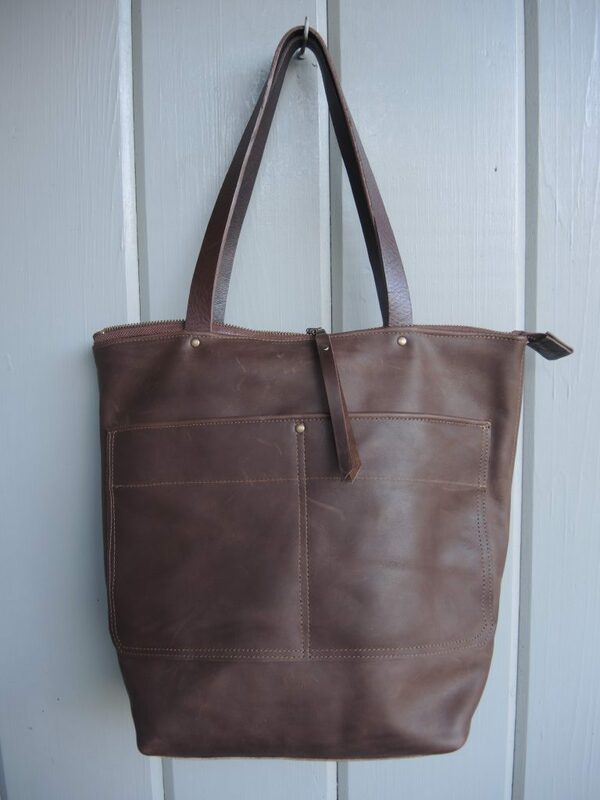 Like many of my pieces this tote has a story. 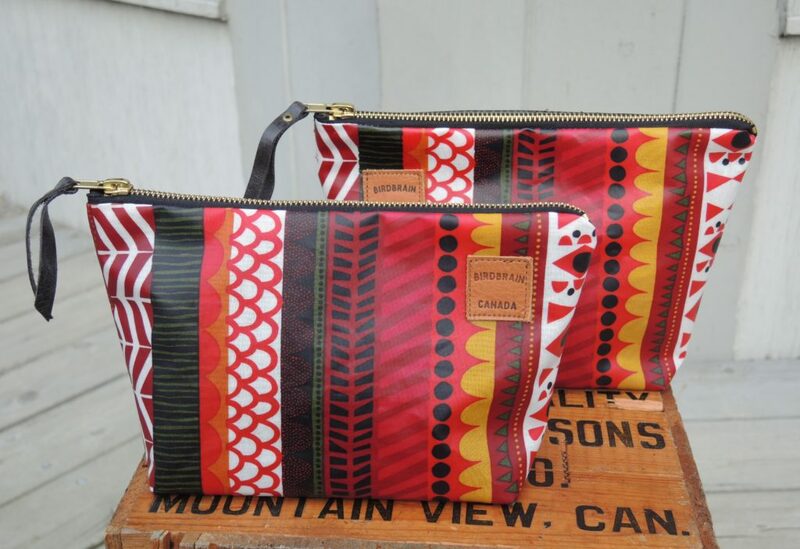 The waxed canvas comes from Biashara Street in Nairobi. I was there buying burlap backing for the rug hookers in Matangwe. The leather pocket is from a shop around the corner from the Duomo in Florence. And the gray heavy cotton lining is from the market in Limoux, France. 17″ wide, 15″ tall and 5.5″ deep. 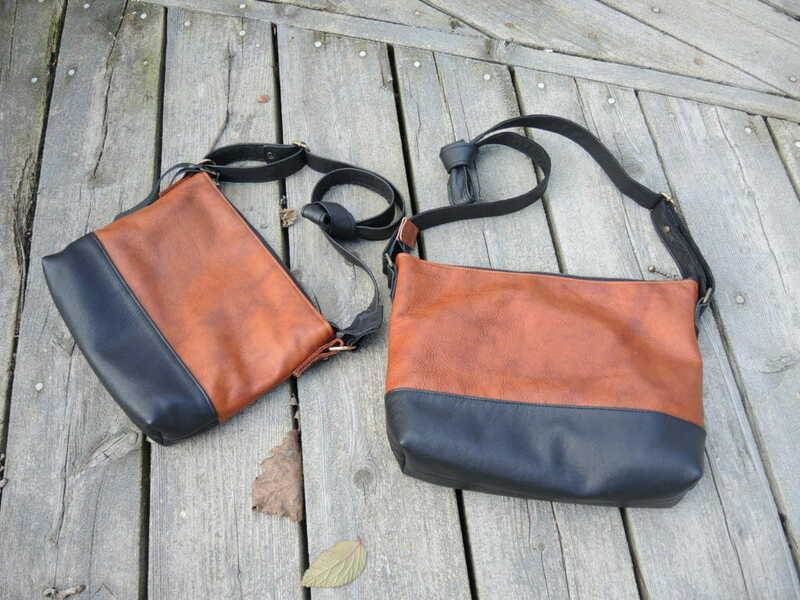 Here are three more bags which will be available at my upcoming show. 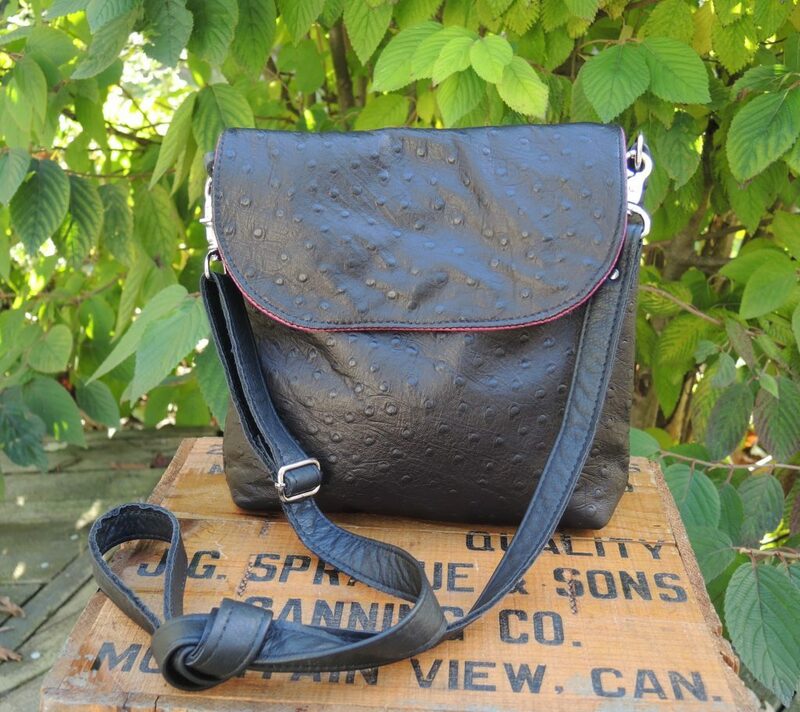 Great day bags with adjustable shoulder straps. 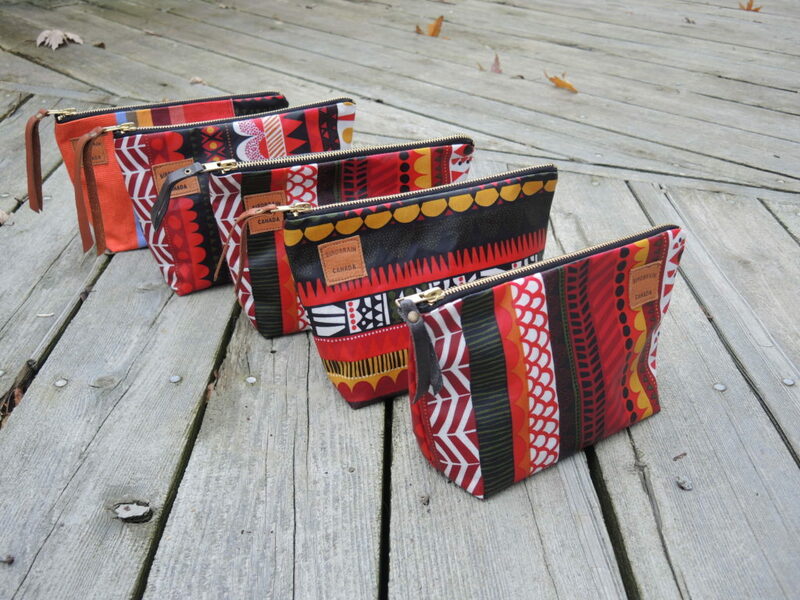 Each is lined with an inside pocket. 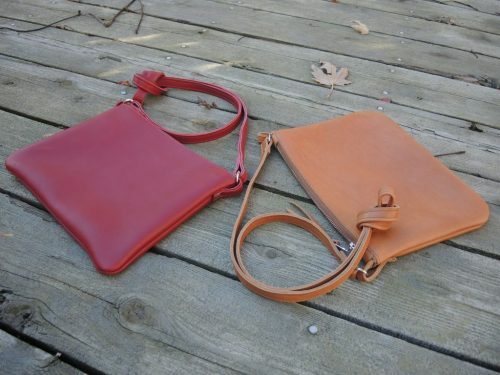 The first two close with metal zippers; the bottom bag has a magnetic closure under the flap. Yes, that is a flash of pink greets you when you open the bag! Sometimes it’s just all about the leather. 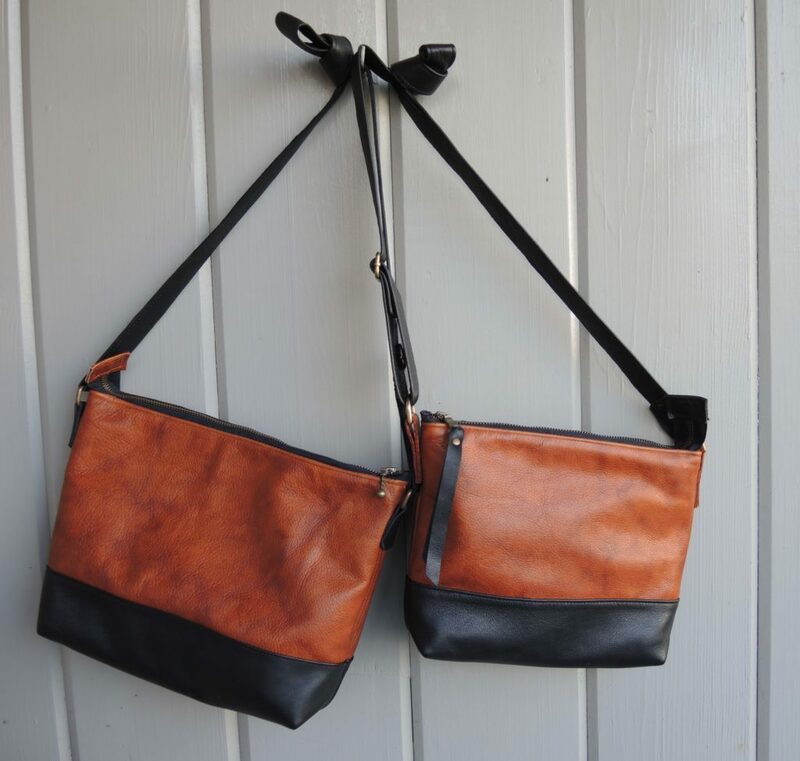 These simple unlined shoulder bags are made from beautiful Italian leather. 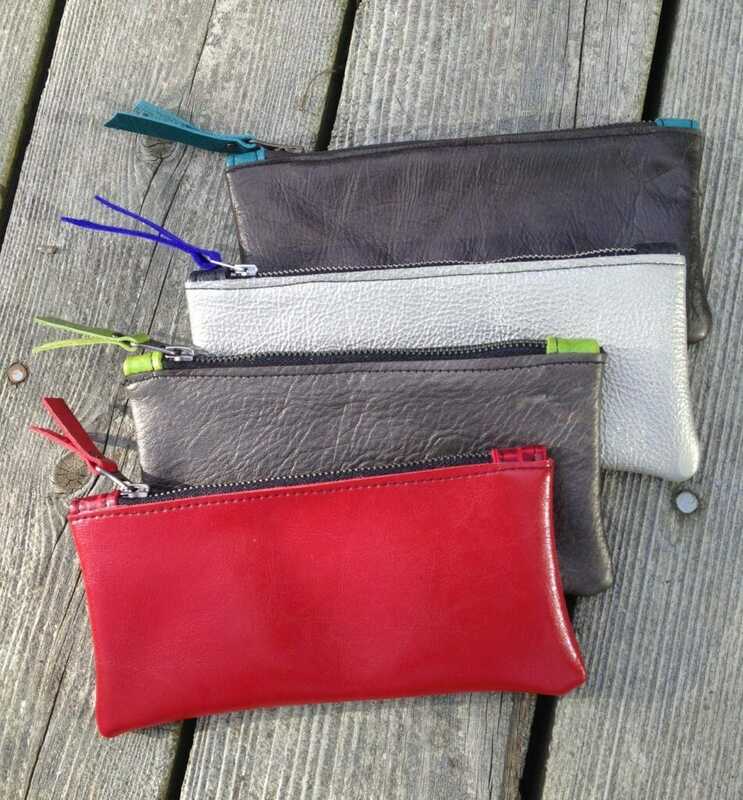 They are designed to carry your daily essentials, phone, keys, sunglasses and a small notebook or two. They have a metal zipper closure and an interior pocket. 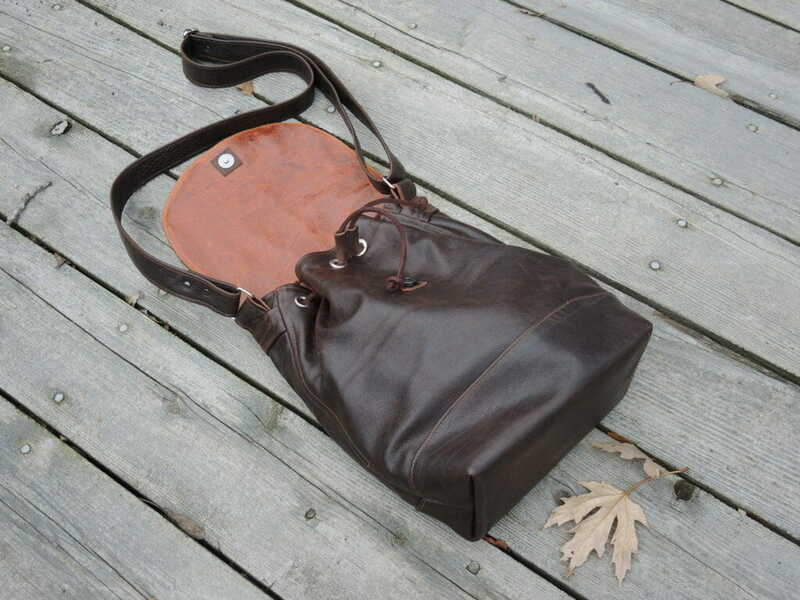 The leather in these bags will soften and deepen with age and use. 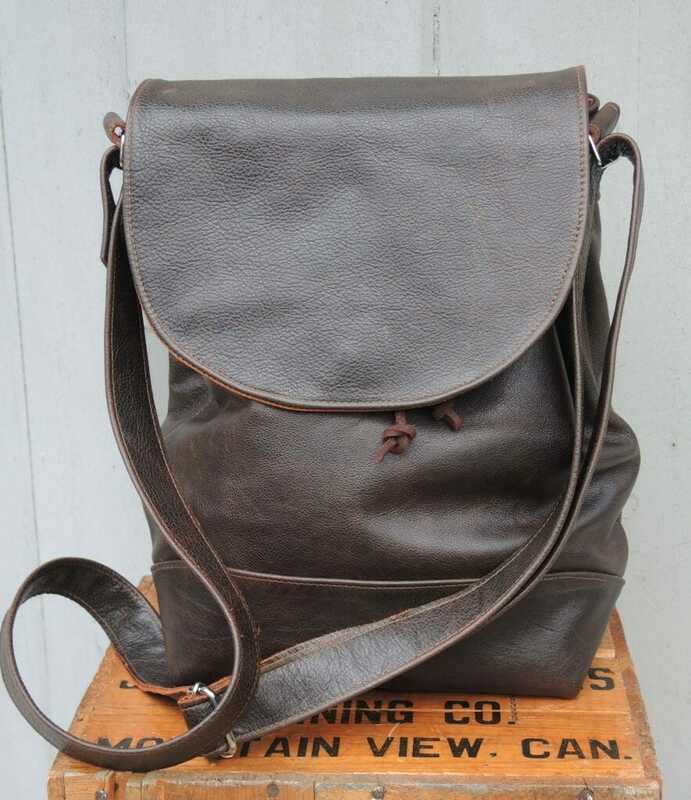 A great bag on its own, yet still small enough to fit inside a larger tote. 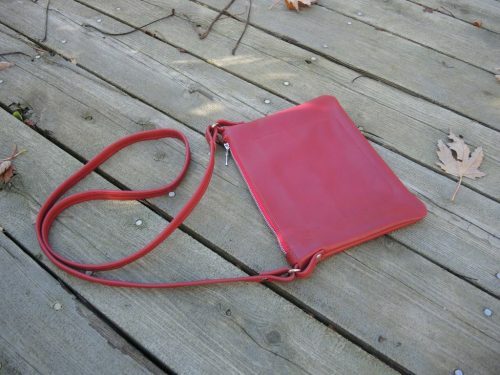 8.5″ tall and 7.5″ wide with cross-body strap. 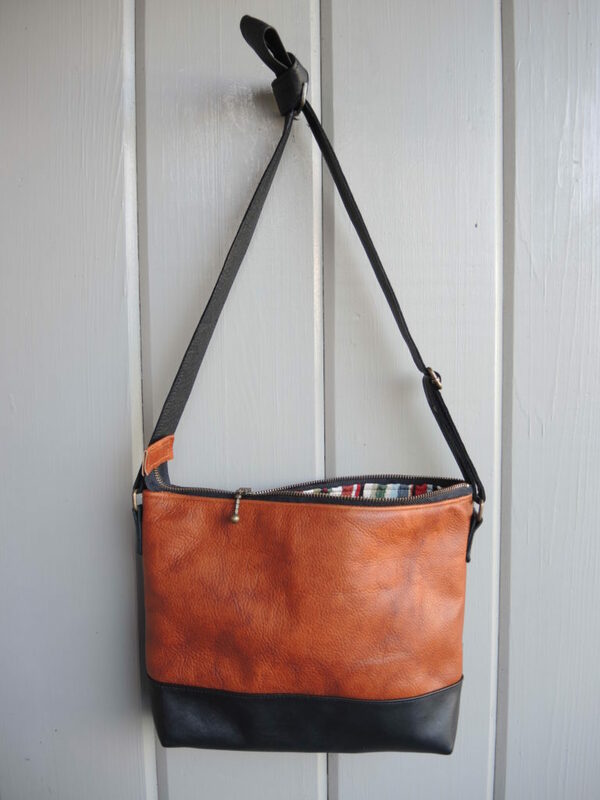 It is the leather that makes this tote a stand-out. 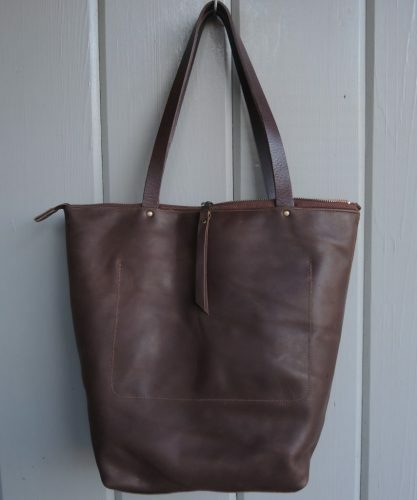 A simple unlined tote the colour of melted chocolate. 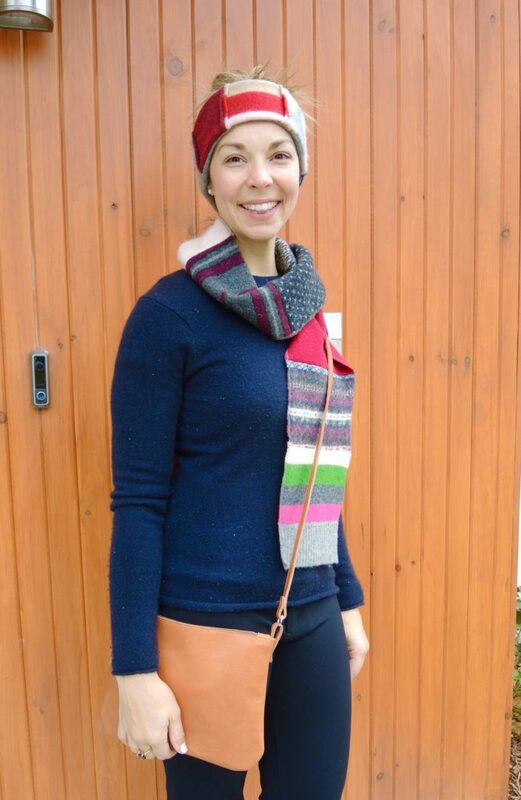 Two large outside pockets and another inside. 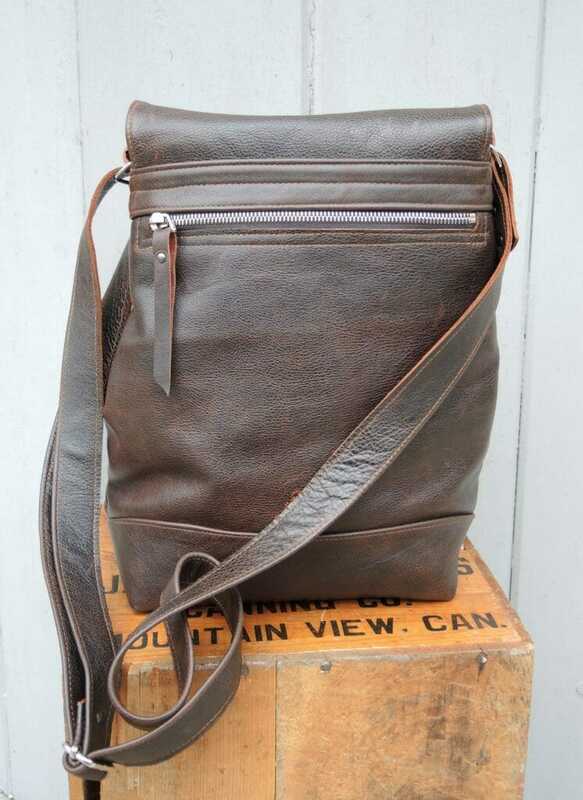 Understated riveted detail, hand-finished leather handles and a double leather bottom. 15″ tall, 12.5″ wide and 5.5″ deep. The handles have a 9″ drop. Compact enough to carry every day, yet big enough for all your essentials including tablet, library books and art supplies.